THE flames were busy devouring the shack in front of neighbours’ eyes. And then Thomas Mokoena heard the terrified screams of three little children trapped inside. As death sent its flames to take the kids, SunHero Thomas made a plan. He soaked his thick, mink blanket in water, threw it over his shoulders and rushed into the raging fire! Moments later, he emerged with two of the three kids. Then he turned around and stepped into the inferno once more to retrieve the last of the children! When all the kids were saved, the community of Silver City in Bekkersdal, Rand West Municipality, erupted in cheers for their hero. The three siblings sustained burn wounds and were rushed to hospital, where they are still being treated. 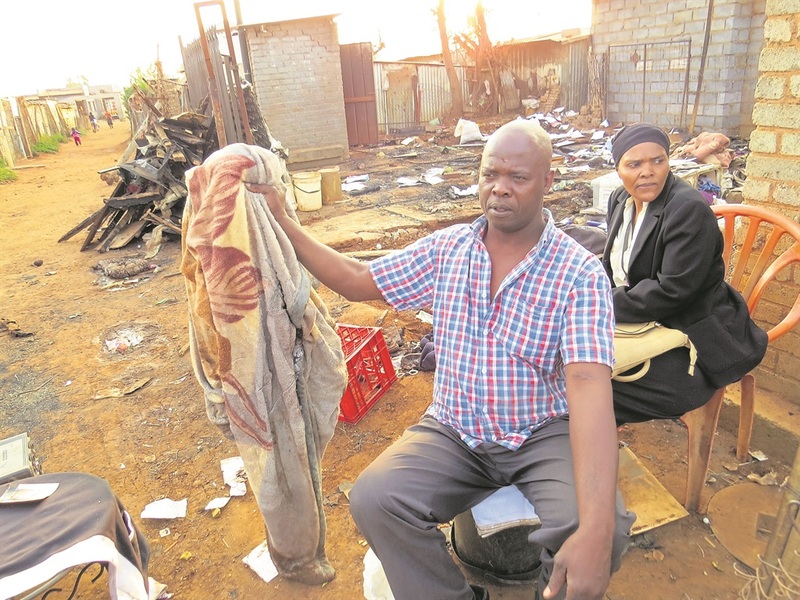 When their mum Elsie Mathebula, who left for work early that morning, came home, she found her three children had already been taken to the hospital. She said she was grateful to her neighbour for saving her children, aged between seven and 18. “I thank my neighbours and God for giving them wisdom to get my kids out of the fire,” she said. Thomas told Daily Sun when he heard the screams of the children, he knew he had to do something. “I am grateful that God protected all of us and nobody died,” he said. The neighbours told the SunTeam they heard a big explosion before the fire broke out. They said they suspected the fire was caused by izinyoka and blamed the municipality for not installing electricity in the area.